It is great to see a modestly resurgent music industry after so many consecutive years of decline. Music consumption is stronger than ever and the bulk of it is in the form of streaming. Spotify is the current poster child for on-demand streaming but it is worth noting that Vevo, an on-demand music video site, is the top video publisher on the web behind YouTube and Facebook. Recommendation based music streaming is equally robust.Pandora now has over 125 million users, Songza is a top mobile app and host of other options from Slacker to RDIO have attracted users. Even investment activity has picked up with the Beats’ Daisy music subscription service receiving $60 million in funding. I was CEO of MusicNet when we negotiated agreements with labels and publishers and powered the first subscription services. Like Spotify and other contemporary music services, it took us almost two years to lock down licenses. What really held us back, however, was getting full coverage of the catalogs once they were licensed. The record companies did not yet have systems in place to reliably distribute digital music files and metadata. Many of the largest artists opted out claiming that their labels did not have digital rights to sell their recordings. The day after MusicNet’s first client launched, Dave Matthews pulled his catalog claiming that RCA Records couldn’t put his music online without renegotiating his contract. 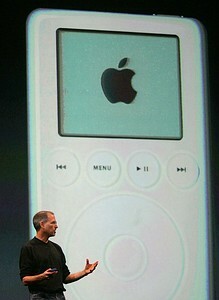 Two years later Apple introduced a seamless marriage of hardware and software, the iPod and iTunes. Almost overnight digital music moved beyond tech savvy college students into the mainstream and Apple owned the market. This dominance not only gave Apple tremendous leverage but changed the trajectory of the digital music business. Steve Jobs was contemptuous of subscription services from the start. He forcefully argued that consumers want to own their music, not rent it. This always seemed like an odd position to stake out. Surely he could have claimed that subscription services weren’t yet user friendly; broadband speeds were still marginal for streaming and there were all sorts of limitations with portable music devices (an issue the iPhone ultimately solved). But he was firm in his stance. He said that people weren’t willing to have their music disappear if they stopped paying fees. We always believed that ownership was an abstract concept in the digital realm, particularly before cloud computing. If a user bought a digital file did she have the right to resell it as she could with vinyl or CDs? And if she couldn’t resell it did she really own it? What happened if her computer crashed and she bought a new one? Would she still have access to all the digital files she purchased or even remember what they were? And then there was the pricing argument. We always joked that if you wanted to fill an iPod with a 20,000 song capacity you would have to decide between buying a new car and having a great music collection.